Come join us in Trentham Hall and enjoy First Baptist’s history through the eyes of children. 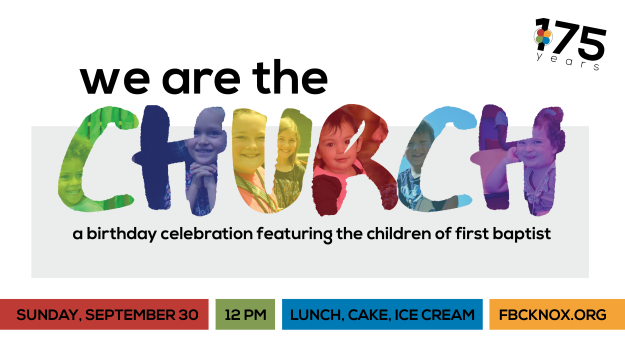 We’ll have lunch and cake & ice cream in celebration of our 175th birthday, and we’ll watch a video featuring kids from our children’s ministry about what it means to be 175 years old. It will be a fun event for the whole family.